Have you ever been curious about How to Use A Culinary Torch for searing, browning or caramelizing food? I have never used a culinary torch before. I have wanted to learn how to use one and try it out on some different food items. 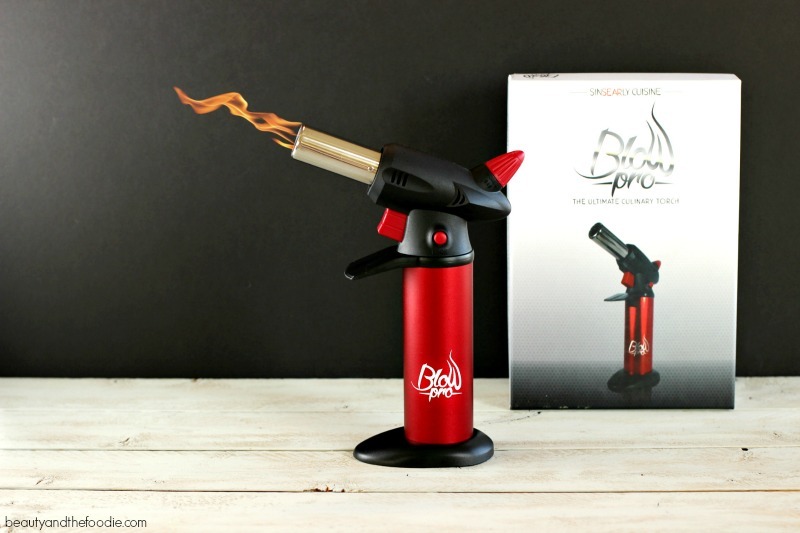 I just received a Blow Pro Ultimate Culinary Torch from Temples Pride. I first read all the directions thoroughly, and put it to the test on a few different food items. I was a bit nervous to try this at first, but found it to be a very useful kitchen gadget that was fun to use! Below is a video of my first time experience with the culinary torch and instructions on how to use it, and my honest review of the Ultimate Culinary Torch. Get One Here. 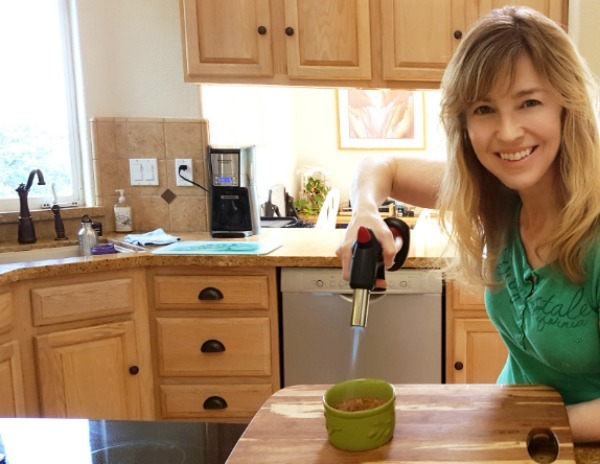 I enjoyed using the Ultimate Culinary Torch kitchen gadget, and it was not as scary and intimidating as I had thought it would be. I was very impressed with how well made it is and how beautifully it works on caramelizing desserts, searing steaks, charring vegetables, browning cheesy casserole crusts, browning meringues, and roasting marshmallows. The only issue I had, being a newbie to culinary torches, was finding the right sized can of butane fuel that will fit properly on the torch to fill it. The first can I bought was the wrong size, but the second smaller can with a long small nozzle worked like a charm. This is a very cool kitchen gadget, and should be kept completely out of reach of children, or anyone that might use this improperly. Below are a list of my Pros and Cons for the product. A well made, sturdy, professional torch. This is really useful. thanks for sharing all these techniques for using a butane torch.